This blog has been quiet over the first few months in our new home, since we’ve had our hands full with critical improvements. The home: arts and crafts, three stories, 1910. On the top of a hill, with a view of distant hills from the front porch. A descending woodland in the back. 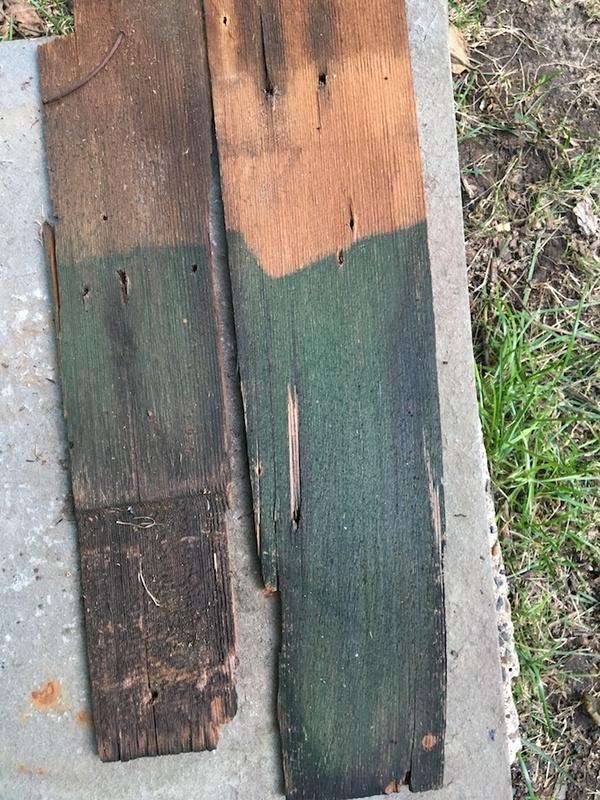 What we faced: cedar shake siding needing some serious TLC — definitely in need of some protective stain, spot replacement for cracked and deteriorated spots (house and garage). 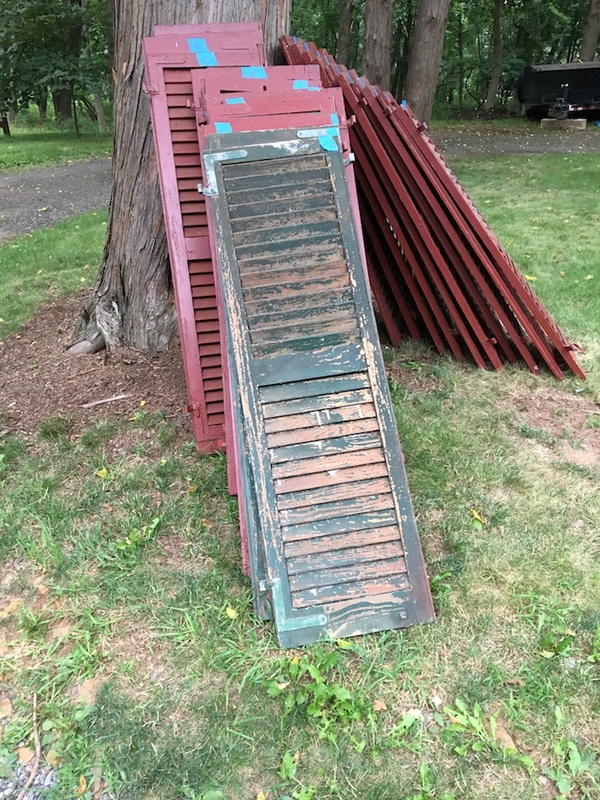 A roof that may have been installed last in the 1970s — who knows when. Green. With the original cedar roof underneath The operation of taking down and putting a new roof on the house and barn/garage took the roofing guys a full two weeks. 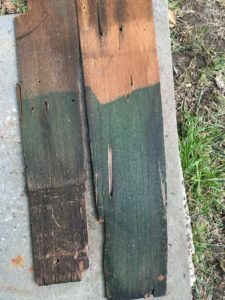 Fixing decaying spots of the cedar siding. Gutting two of the three fireplaces so they are usable and up to code. All this took the better part of the summer. And no gardener in their right mind would put in foundation plantings amidst that chaos and falling debris. The fun part: unearthing some of the early design choices. The original cedar roof may have been painted dark green, though a neighbor said one of the original owners loved, loved, loved green (a photo from the historic society revealed the house, roof and shutters were all green at one time. I’m sure this wasn’t original, though the owner who did it was). The green was still evident on the back of the shutters. This ad from the early 1900’s may provide a clue to what the original potential color scheme may have been. The design of the house is different, but elements are very similar, down to the shed dormers. There are no foundation plantings, save some boxwoods on one side of the house. Next step: putting a foundation planting at the front. And our continued adventures taming overgrown expanse areas of the property. Busy summer!